Multiplayer community is officially maintained by XWIS, with instructions on their website. Bundled with the The First Decade and Ultimate Collection compilations. 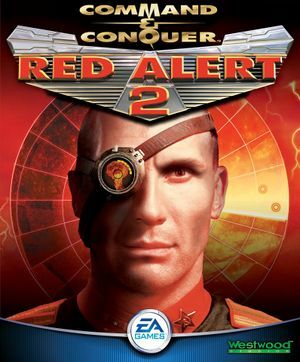 Patch 1.006 for Red Alert 2 fixes general bugs, network and exploit issues. Patch 1.001 for Yuri's Revenge fixes bugs, crashes and a problem when multiple CD drives are plugged in. 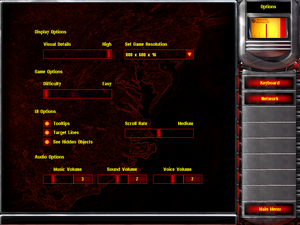 The LAN patch lets you play LAN on Command & Conquer: Tiberian Sun and Red Alert 2 (and their expansion packs) in Windows 2000 and later by changing IPX protocol to UDP. Add -win to the shortcut target. Another way to change resolution is to add the line beneath the [Video] lines. This will let you change the resolution in the game menu to any supported by your computer. Where ScreenHeight and ScreenWidth are your desired resolution. Some non-English languages might have forced subtitles enabled. 8 Requires LAN patch to function on modern Windows. 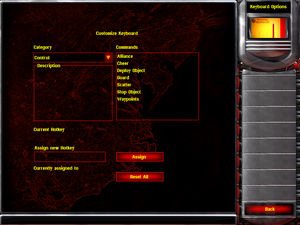 Right-click Red Alert 2/Yuri's Revenge and select "Game Properties". This issue may occur when using the Command & Conquer Ultimate Collection version from Origin. Enter anything as the string text (each player must have a unique entry). Right click on the Ra2.exe file and select "Properties". Go to the "Compatibility" tab and enable Compatibility Mode (set it to "Windows 98/ME") and "Run this program as an administrator". The options in the normal Compatibility view cannot be selected. Click "Change settings for all users" to make the modifications. Apply the changes and launch the game. Alternatively, simply download and extract the contents of this preconfigured fix into the RA2 folder. Also, consider using the performance fix as well. This happens sometimes on newer versions of Windows (7, 8, 8.1 and 10). To fix this, download Aqrit's ddwrapper and extract the ddraw.dll and aqrit.cfg files into the RA2 folder, where ra2.ini lies. Under the [Video] section, add VideoBackBuffer=No to a new line. The launcher provided with the Ultimate Collection (Origin release) does not support custom launch options. Install the Command & Conquer Ultimate Collection Fixed Launchers before using. Apply the argument to a shortcut of the RA2Launcher.exe file.